Lamagaia are somewhat a psychedelic mystery. The band from Gothenburg, Sweden has a lot of material to explore, yet there is not a ton of info out there about them. This two track Self-Titled album has just been released as a joint effort through Sunrise Ocean Bender and Cardinal Fuzz Records. Clocking in around 35 minutes for two tracks had us wondering if this album contained unnecessary lengthy feedback or unwanted gaps of silence. Not here folks, these two entities are extremely rich in heavy psychedelia and very absorbing as they will no doubt consume every fiber of your being. It’s virtually impossible to explain the journey these two tracks will take you on, let’s just say it’s the trippiest album we have heard so far in 2017. Both tracks are stunning, but in different ways. “Aurora,” clocking in at 16:40 is one heavy, psyche trip. This tune is extremely repetitive in a drone rock sense, the bass really holds everything together and does not waiver one bit. The vocals have the perfect amount echo and compliment the music perfectly. If you’re a fan of heavy psyche pioneers The Heads, you will easily gravitate to this. The second song “Paronama Vju,” coming in at 18:54 has a more calming tone, so be patient and let this one breathe, it’s well worth it. The meandering opening builds beautifully over the first few minutes. Not sure where the music is taking you, they embark on a psychedelic jazz-like jam session. We absolutely love the addition of the sax and the way it just creeps into the music, displaying the perfect use of this instrument. It’s a tremendous and all-consuming instrumental. The production is spot on, the bass really takes control and grounds the album. The songs may have a repetitive nature, but this is what makes them so special. We definitely recommend Voodoo Ranger IPA by New Belgium Brewing. This 7.00% ABV IPA has a bit of a citrus taste to it with just the right amount of hops added and is very smooth. What are our final thoughts about this album? 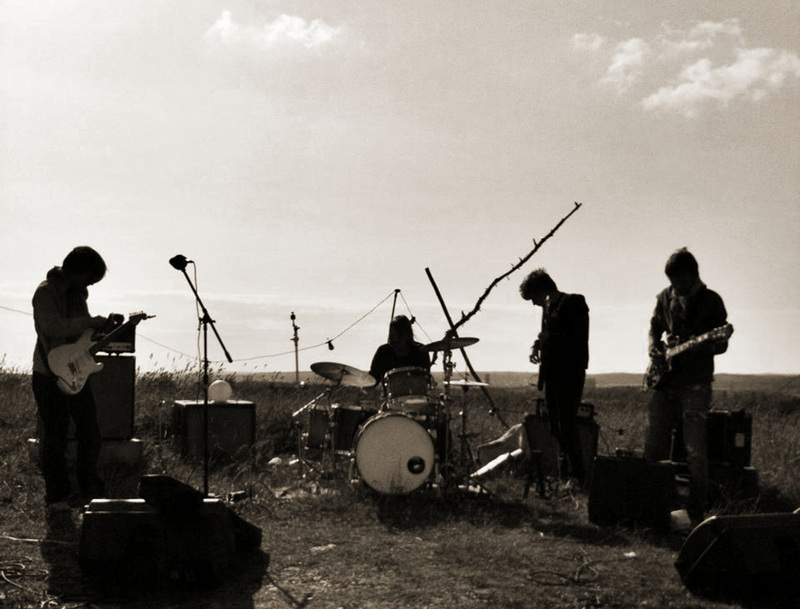 Lamagaia are very talented psyche rock musicians who continue to explore the world of heavy psyche and krautrock. They possess a refreshing and distinct sound that separates them a bit from their peers. We recommend you visit their site (lamagia.se) and discover some jam sessions and other tracks that are free to listen and download.